Home News Have you checked your change for this VALUABLE rare coin? Have you checked your change for this VALUABLE rare coin? Coin collectors up and down the UK are on a desperate hunt for a rare Beatrix Potter-themed coin – with some prepared to pay more than 17 times its value just to secure it. 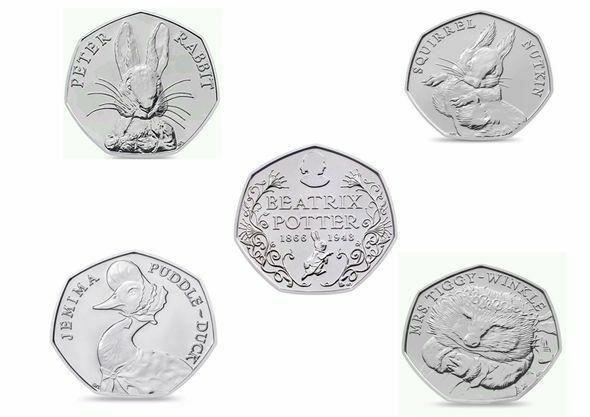 The 50p coin, featuring Beatrix Potter character Jemima Puddle-Duck, was released by the Royal Mint last year as part of a collectors set.The full set of nine commemorative coins in this theme include Peter Rabbit, Squirrel Nutkin and Mrs Tiggy-Winkle, and were released to mark the 150th anniversary of the author’s birth. Silver special editions sold out in just eight days as the first children’s fictional characters to appear on British coins proved incredibly popular. 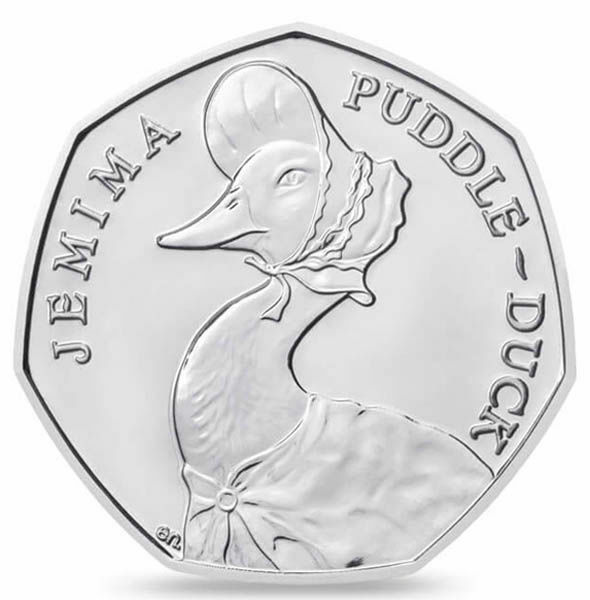 Initially some of the special edition coins in the set cost £55 when they were released, but now change hands on eBay for more than £600.The sudden scramble for the Jemima Puddle-duck coin came after new mintage figures revealed only 2.1 million were released into circulation – making it the sixth most scarce coin in UK circulation. In comparison, there are around 9.6 million Peter Rabbit coins in circulation, and around 5 million featuring Squirrel Nutkin. According to ChangeChecker, each listing of ‘Jemima’ coins on their site had at least eight bidders fighting for it.The sudden interest has caused the value of the coin to soar, with eBay bids currently at around £9 a coin – more than 17 times its actual value. Last year, a rare Peter Rabbit 50p coin made headlines after it was handed to a homeless man in Exeter, Devon. Elsewhere, Hull window cleaner Richard Bird is set for a windfall of around £3,000 after discovering a coin in the set with two different dates stamped on it. ChangeChecker’s scarcity index tracks which 50p coins are the most collectable and most sought after.At present, the Kew Gardens coin tops the index, with a mintage of just 210,000 making it the rarest coin and the most in demand. Coin experts estimate it could be sold on eBay for as much as £100, although recently sold Kew 50p coins fetched up to £220 at auction. Other rare 50p coins usually achieve a premium of around 10-12 times their face value – or £5-£6 – when sold on. After the Kew coin, the next four scarcest 50p coins are from the 2012 London Olympics.These coins feature imagery from Football, Triathlon, Judo and Wrestling, and can fetch between £8 and £15 on eBay. Collectors are also very interested in the Suffragettes and Battle of Hastings designs – both fetching around £10 and £5 respectively. While rare coins can fetch a pretty penny, its the coins with errors that tend to demand the highest payouts.A 2012 Olympics Aquatics 50p coin could fetch more than £1,000 after the original design was modified to remove waves passing over the swimmer’s face. A small number of the original design were produced and circulated before the error in the design was amended.